Single-nucleotide polymorphisms (SNPs) in the Interleukin-28B (IL28B) gene and rs4273729 in the human leukocyte antigen (HLA) gene in chronic hepatitis C (CHC) virus infection are important for predicting treatment outcome. In this study, the distribution of IL28B SNPs (rs12979860 and rs12980275) and HLA rs4273729 in rapid virologic response (RVR), complete early virologic response (cEVR) and sustained virologic response (SVR) in HCV Iranian patients with CHC virus infection was assessed. 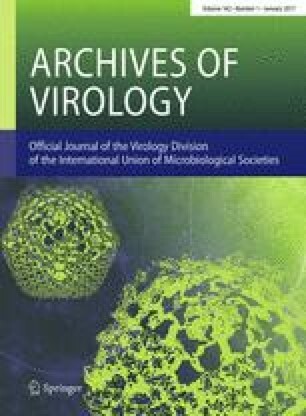 IL28B genotyping and rs4273729 were performed using the amplification refractory mutation system (ARMS)-PCR and direct sequencing in 190 CHC virus infections, respectively. RVR, cEVR, and SVR were 53.2 %, 78.9 %, and 65.8 %, respectively. Multivariate regression analysis demonstrated that the responses significantly predicted SVR in patients with age <40 years (p = 0.008), HCV genotypes (p = 0.032), IL28B rs12979860 CC genotype (p < 0.001), rs12980275 AA genotype (p < 0.001), rs4273729 GG genotype (p < 0.001), RVR (p < 0.001) and cEVR (p = 0.024). Three critical predictor factors based on RVR response were rs12979860 CC genotype (p = 0.033), rs12980275 AA genotype (p < 0.001) and rs4273729 GG genotype (p < 0.001), while rs12980275 AA (p = 0.003) and rs4273729 GG genotypes (p < 0.001) predicted cEVR. For the first time in Iran, these results revealed that the rs12980275 and HLA rs4273729 are important for the treatment of CHC infection. These findings may help predict responses to CHC infection treatment and reduce the cost and side effects of therapy. We would like to thank all of the patients who participated in the study. We are particularly grateful to Naser Kalhor for their valuable comments and sharing their knowledge.